The name is deceptive; there is no castle waiting atop Castle Hill, however what does await is an absolutely royal view of the city. This beautiful pink monolith stands 286-metres above sea level, so prepare for a hike. For those who want the sights without the walk, you can also drive your car to the lookout. 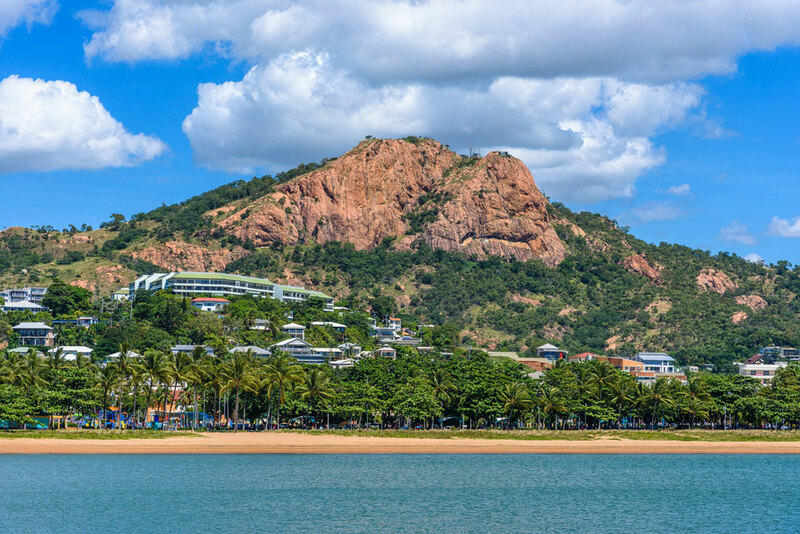 The breathtaking 360-degree view covers the entire city of Townsville and extends beyond to Magnetic Island. Take the journey out of Townsville to the Girringin National Park and you’ll find the highest single drop waterfall in Australia, Wallaman Falls. Walk through the stunning rainforest and take in the sight of the 268-metre falls, complete with a glistening cloud of mist, which sprays from the drop. Encapsulating the tropical haven that is Townsville, Palmetum Park is one of the largest and most diverse public collections of palms in the world. The garden covers a massive 170-hectares and if you’re a fan of food photos the Tumbetin Tea Rooms offers a host of colourful handmade cakes. Take a daytrip out of Townsville to visit this pristine region of world heritage listed rainforest. The Paluma range is home to the idyllic Little Crystal Creek and Big Crystal Creek, and an iconic stone arch bridge built in the 1930s. The Strand is possibly the most popular photo spot for those travelling in Townsville. This stunning foreshore is lined with palm trees and boasts beautiful coastal views, which create a multitude of fantastic photo opportunities.